Qatar Stock Exchange (QSE) index gained 444.24 points (+4.40 percent) when the bourse closed trading at 10,535.05 points on Tuesday. The daily turnover decreased to QR 687,215 million with a volume of 15,344,771 shares from 8,028 deals compared with QR 1.180 billion with a volume of 34,589,824 shares from 8,005 deals on Monday. Indices of six sectors ended in the green and one sector ended red today, while transport index was lone sector in the green, up +1.08 percent to 2,493.49 points. QSE Total Return Index gained +4.40 percent when it closed at 16,375.22 points today. QSE Al Rayan Islamic Index closed +3.79 percent (3,943.77) points. QSE All Share Index up +3.99 percent (2,806.17 points). 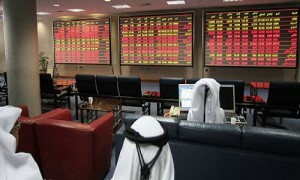 From the 43 companies listed on QSE, 40 saw trading today. From these, 28 gained, 10 closed lower and two remained unchanged. QNB Group: China’s Stimulus Is Boosting Activity But Also Elevating Risks?